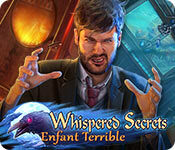 Whispered Secrets: Enfant Terrible is rated 3.9 out of 5 by 8. Rated 5 out of 5 by LikeAGoodStory from Vibrant! Wonderful! One of the Best! This game has it all! Its storyline is so unique and intriguing that I hoped the game would never end. It's just not predictable, which is rare, offering a realistic look at what scares us and, maybe, why. It will be a hard act to follow. I have always liked this series but Grandma Studios is in a league of its own with this game. Bravo! Visually, this game is gorgeous, even when it is being creepy. The detail in the animals is simply stunning. I spent a lot of time just admiring each scene, in awe of the work. I loved being in this world! Oh, the music was perfect for each scene, only a little of which I have heard before. Again, a rare quality in games. The HOPs have something for everyone: traditional, morphs, interactive, and (I think) one fragmented. It's a nice mix throughout the game, with a few more HOPs at the end. The mini-games have an easy/hard option and while some are familiar, others are new or a variation on an old game.Because the pacing in this game is so well done, HOPs and mini-games have a natural feel to them. I don't purchase CE editions, as I am not a bling collector but I am tempted to buy this one just for the bonus chapters, of which I understand there are two. My review is based on completed play of the game. Enjoy! Rated 5 out of 5 by MostAng from Very enjoyable game play - vibrant art - recommended I really enjoyed this game. The story line was engaging, and the art was colorful and very nicely done. The sound quality was also very good with great sound effects and well-paced music scores. The magnifying glass gadget wasn't really necessary, but it didn't take away from the game play. The other gadget was a dream catcher that led the path into someone's nightmare, which flowed well with the story line. There was a good variety of HOP and mini games from quite easy to a bit challenging. They offered easy and hard mode for many of the mini games which was nice. 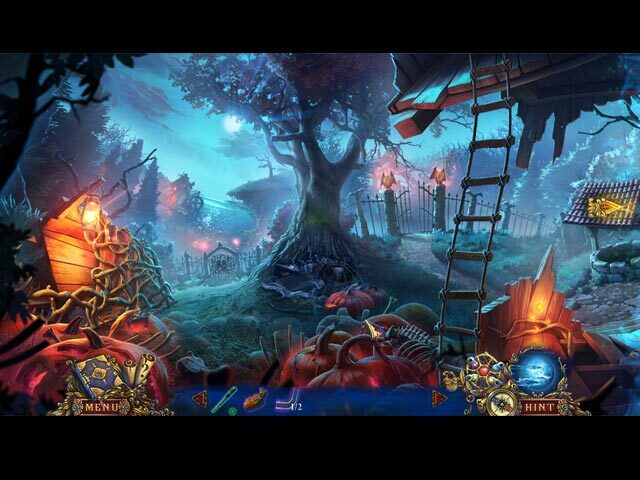 The Hidden Object games with the books were kind of "eh," but all the others were a nice variety, easy on the eyes and enjoyable (and that says a lot, since the Hidden Object Scenes are my least favorite part of almost any game). I liked that you went back and forth from reality to nightmares. It was a visually beautiful game, though certainly not a thriller. It wasn't scary or creepy at all, but still very nicely done with an engaging story. The fact that I didn't get irritated, and I looked forward to continuing the game makes this one a winner. Grade A game. Rated 5 out of 5 by kw194473 from for me, one of the best. brilliant game, would recommend. Rated 5 out of 5 by BooksandGameFan from One of my favorite games this year! It's fantastic!! I haven't loved a game this much in a very long time! It's my pick for game of the year! This review is after playing the CE edition, the entire game plus the bonus chapter. The storyline was great, the music was beautiful and or creepy which fit within each scene. 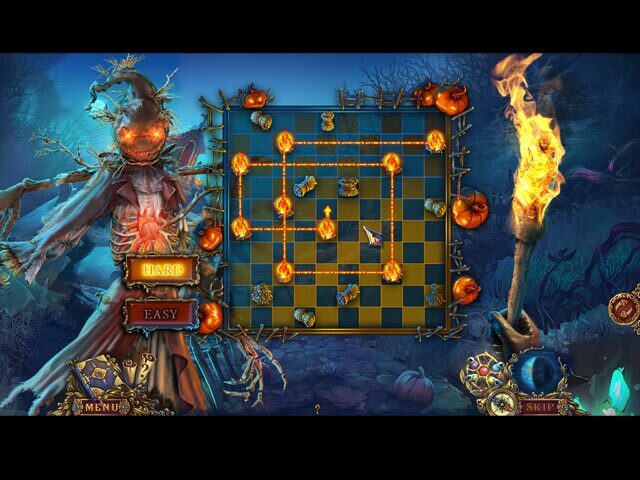 The mini-games were fun and on some of the games you could pick easy or hard, the hidden object scenes were plentiful and a lot of fun. I loved the graphics and all the different scenes which were just so well done! Yes, like many games you find something to put somewhere else to open it which normally I find boring but not in this game. It just flowed so well, and it wasn't overdone. You didn't have to find a million keys or amulets to keep the game moving! The atmosphere was just so entertaining, you went from normal, into dreamscapes which were creepy back to a normal everyday environment, then back into someone else's dream etc. I think that's why it was so much fun because things, people kept changing. I can't really explain why I loved it so much but I know I literally made myself stop playing a few times because I just didn't want the game to end too quickly and that rarely happens for me. There are 2 bonus games, one was about an hour long the other was a much shorter bonus. The main game was approx. 4.5 hours. The game ties up nicely in the main game so this SE edition is just perfect and there is no reason to purchase the CE edition unless you want the bling and the bonus game. If you're looking to save some cash this SE will do nicely. It really is an awesome game! Yes, I highly recommend this game! Rated 3 out of 5 by LunaNik from I actually have nightmares about shaped keys and neon palettes. It's no secret that I'm generally not a fan of Grandma's games. This one is an improvement on their usual fare, but not spectacular by any means. For me, it's difficult to remain immersed in a game that's drenched in unnaturally neon colors, for one. However, I am a fan of games involving nightmares, because it provides for both surrealism and whimsy in the graphic design. I did find the storyline engaging. When the demo ended, I retained a lingering curiosity about the relationship between the psychotherapist and the Nightmare creature. And the characters were voiced well. HO scenes came in several flavors: zoom box, interactive list, storybook, locked panels, morphing objects, and sequential interactions. While the zoom box and storybook scenes were quite easy, the others were at least moderately challenging. Mini-games ran the gamut from throwaway easy to somewhat challenging. My favorites: • Light all haystacks on fire in one continuous line. The starting point is not specified, but if you choose the wrong place to begin, you'll reach a dead end. • A new riff on Match-3: Plant seeds in the garden, collecting three or more in a row. You must collect fifteen of each flower type, and the garden spontaneously sprouts flowers that can help or block you. • Fill the grid with color. There are four squares labeled with numbers. Choose one and drag to fill that number of squares with color. Obviously, you have to plan a bit. On the downside, there were at least five shaped keys per game scene. That gets old, especially when you use one only to be "rewarded" with yet another one. I really wish this trend would go away and devs would be more creative in their gameplay design. Also, there were TWO gadgets: the dreamcatcher (which lets us travel to others' nightmares) and an unnecessary magnifying glass (which required "charging") to reveal HO scenes. I gave the CE three stars, and would rate this about the same. So, worthy of a PCC, DD, or really good sale. Rated 1 out of 5 by bluesycat from Too much dexterity required I played about 30 minutes of the demo before I gave up and deleted the game. The story was good and I was interested to see where it would go. The settings were pretty with good graphics. Can't comment on the sound because I turned it off. Only one HOs in the time I previewed. 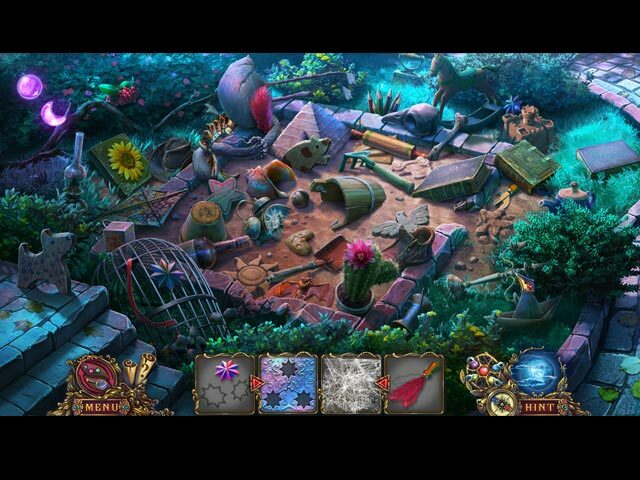 All the hidden objects were morphing objects and I had to use the hints to find two of them. I don't like morphs, but that's not what killed me on this game. The killer for me was the puzzles. Many of the ones in the first half hour required varying degrees of manual dexterity. Moving the mouse and clicking fast and repeatedly. I have arthritis in my hands and fingers and I just could not solve those puzzles! So, if you have finger mobility issues, make sure you preview this game before buying.